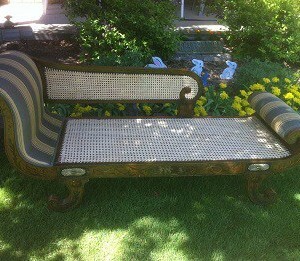 John and Cindy have decades of combined experience in seat weaving and restoring antiques. John is a Master Craftsman and has considerable knowledge of all types of weave, seats and backs. Although we specialize in seat weaving we also re-glue chairs, turn new spindles to replicate your broken or existing piece, legs, dowels etc. and many other restorative repairs.